If you have waited a long, long time for your talisman, at least you got to see my Happy Tape! I just found it and used some on my envelopes! I don't know if it will hang on in the travel around the country. We'll see! Kathryn. looky looky! It went out this past week. You may have it by now! SO, let's get crackin on this! Lafaye, you put how much you LOVE, LOVE, LOVE the beach in all caps, so I knew it must mean a lot to you. Therefore, I symblolized the dream of a beach house on your talisman with three icons! You also mentioned you are a cat mama, so here's to your furbabies! There are two hearts on there for each of your children. Congrats on raising them as a single mom. That is so admirable! And I used a HOPE cancer ribbon to represent your work as a social worker and your involvement with fundraising specifically for St. Jude! LORD knows our family can respect anyone who helped put money into a hospital that does so much good for so many and which did so much good for our sweet boy in particular! I am hoping for you also that you can QUIT that smoking habit! Wear this talisman and touch it often for strength. Remember as you put it, "I am blessed beyond measure, and am aware that everything could be taken away in a minute", and live with PASSION and JOY! I hope your talisman is all you hoped. I enjoyed making it for you. I like the way it hangs. I never know if people prefer short, long, colorful, metals, etc. So, I just do what comes to my gut. This is for you, Lafaye, from me and my gut! And now, For my buddy, Kathryn! Girl, I hope you REMAIN!! Kathryn put me up when I went to a continuing education course in St. Louis. No, I didn't know her, and Todd told me I could get cut up into 100 pieces if I don't stop being so trusting of people! But, it looks like it all turned out A-OK!! Kathryn turned out to be normal! And I ended up liking her a whole lot! So, I am sending her a special thank you prize along with her talisman. Kathryn, this is for your art room! Ok, for REMAIN! I included three little turquoise beads to represent you, the hubby, and your mom. I know that those three are truly the core of your being! And that heart? Well it is your LOVE, obviously! I LOVE how Kathryn told me that although her sweet mom, who she calls "Miss Suzie", is struggling with Alzheimer's, with the help of her one and only child, Kathryn, she REMAINs in her home! ANd despite a very big illness and prolonged recovery, Kathryn REMAINs by her side! Kathryn, I hope you like your talisman. It is simple and I think it is a reminder for you to REMAIN strong. REMAIN your mom's number one girl! 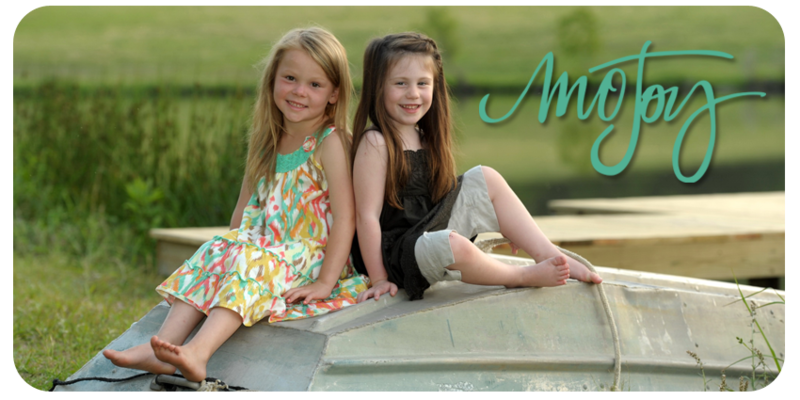 REMAIN a great model for your kids and those grandgirlies! And REMAIN my friend! ANd next, one would think that I have this blogging thing down pat by now, but guess what... I DO NOT! I have no idea how to move pictures around, so I have to be really careful when I load them. ANd for whatever reason, on this day, I screwed up! so, here are a couple of pics of a talisman, and later, you will see a few more! THis is for Sam! Sam, that little cross is at the clasp, as I wanted you to feel it dangling and remember who it is who helps you STAND! Here's the long shot of Sam's talisman, and shortly, I will show you the rest of the pics of it. Oh, hey! For my friend, Sara! She told me she wanted a talisman, and she told me her word, but she didn't give me a lot to go on otherwise! I happen to know a little about her on the side! Sara was one of our neck patients. She can't tolerate much weight around her neck! She recently had a neck fusion surgery though, and she is tolerating a little more everyday. See those tiny little necklaces she wears? Well, I thought, let's just see about this! Her word was CHOICES and I thought this simple jagged chunk of amethyst represented the many CHOICES she will be presented with in the upcoming year. She wore it home and said she could tolerate it just fine! Another satisfied customer! Woop Woop!! Yo. Yo. SHannon. You ready!? For you... to BELIEVE! Again, a simple but powerful talisman for you! I like the way the BELIEVE it included in the chain. I think if I were the one wearing it, I'd wear it only about 3-4" above the main drop in the front. And it should be on the right side of it too. Ok, a little about Shannon. Shannon's only child, Carson, has a chromosomal disorder which causes significant developmental delays. In particular, he has only recently learned to walk at 8 years old. Carson still struggles with communication. But his mama BELIEVEs in him!! And she BELIEVEs in God's plan and purpose for his life. Shannon started a Sp Ed Sunday School class so ALL mamas could attend the church service at her church! Now that's a ministry, Shannon! It was evident in your emain how much you LOVE being Carson's mom! So, I put a tiny heart atop his name! Hope you like it. Kathy has a lot to ACCEPT this year! Her only son is on the horizon of his life, and may have to move away to get a job after his graduation from college. I represented this for you with wings and a heart! I included the blue as this will always be your baby boy! And you mentioned you empty nest, but you know there is always a place for the family to be back home together. You, your husband of 28 years, and your son. I love that this piece has three eggs in it. NEST when you all get together! I stamped your word out for you. Wear your talisman to remember all those other things you mentioned to me about ACCEPTing that you can't fix everything for all people. And that you can ACCEPT help when you need it or when you feel weak. Here are three little pieces of garnet all together, again, represetative of your little family which is always bound and strong (thus hanging on a gear), no matter where life may lead them. ANd there you are, my dear. A big ol chunk of iolite. So pretty. So unique. ACCEPTing being 50 this year as a grateful being. This is gonna be your decade to SHINE!! Hope you like it. Wear it and ACCEPT that all is going exactly how God has it planned out for you. And continue to be blessed! And now, back to you, Sam. I LOVE it that you and I are connected by the adoption of our girls! Could it be any sweeter?! But basically, after I asked your permission for a very simple talisman, I could only think that this one charm was all you needed! It so clearly says, "STAND", as in STAND against the storms brewing in your life right now! On Christ the solid rock I STAND! And so do you! Be bold! I wish for you power and strength! I love my picture, too! Especially, I love the Jake green that is in there. i'm so excited to see my talisman. just got back from a trip and caught up on your posts... loving them!!! I love, love, love it! It is perfect! It could not get any sweeter with my girl! She is the light of our lives! Even if the five year old attitude is in full swing! And the fact the she has Bieber Fever! oh i so love mine. i've been wearing it every day and getting compliments. I love the uniqueness of mine. Thank you for putting your love and thought into my very special necklace!! are you still taking orders? If so how? You do such beautiful work...from your jewelry to the art work,scrapbooking....u definately have a talent. Love the new ones above!